We all dream of one day owning our own home. But, it is difficult to take on that decision of house ownership. How can we own a house? What is the requirements and process to buying a house? Today we will explain in a few steps what is required and what areas in New York have the best prices. Many of us rent with the idea of saving money but in realty you can be financing a house of your own with the same amount of money you pay your rent. The first step to buying a house would be knowing your finances: budget, credit score, mortgage pre-approval, and any line up cash. Having a good credit score is key to financing anything from a car to a house, so make sure your credit score is in good standing before starting the home buying process.According to the Consumer Financial Protection bureau, the best mortgage rates go to borrowers with credit scored in the mid to high 700s or above. To find out where you stand in your credit score you can always find free credit score reports online for free. The next step is to get the morale pre-approval letter. This letter will determine the estimate of how much you will be able to borrow on a loan and what you can afford when you’re ready to make and offer on your dream house. An important tip is to have line-up cash for the purchase of your property. The more cash you can pay up front toward your home , the less you will have to borrow and most of us don’t want to be in debt, do we? According to the brick underground.com, areas of northern Manhattan, central Brooklyn and western Queens are seeing increasing demand as a result of their convenient access to public transportation and low prices relative to some other areas of the city. The upper westside and south Harlem has taken value for many buyers due to the growth of renovations in the area. Riverside Park gives that side of the city a different feel with a beautiful view of New Jersey and the scenery of the Hudson River. Inwood is another part of Manhattan where real estate is growing. We can take it downtown to the the northwest Chelsea area, the area is going to have an influx of supply because of all the new development. Older buildings are also coming on the market, but new development is really what’s driving prices down. If you kick it to Queens, Forest Hills is the center of buildings with tons of amenities and even town homes. Far Rockaway might be known for its beach but it has become a territory of new cheap apartments, even next to the beach! Brooklyn is the new growing borough with new construction and renovations and a hot place for marketable properties. Bay Ridge is becoming the next Park Slope according to Elizabeth Kee, broker, CORE. Prospect Park South should be on buyers’ radars now. 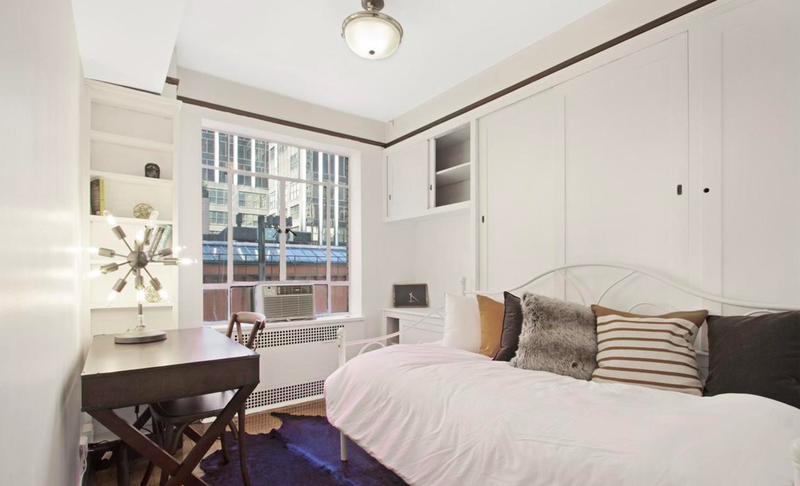 Transportation is good and proximity to the coveted Prospect Park. Buying a property is never is easy for anyone, especially as a first timer. If you want more property for your dollar it would be better to invest outside of NYC but some of us love New York and can’t leave. Hopefully for those people this blog post will help you find the right area to invest in and help you with the steps to do it!! The biggest issue that New Yorker's live with is the limited storage space in their apartments. The constant clutter of “stuff” does not help when trying to live an organized life! But guess what...there are different easy ways to hide and store these items. From book shelves to dressers, to benches and side tables please see below for many other alternative storage ideas!! Organize your dresser or console table like a pro. Dressers are the best storage cabinets for bedrooms. Consoles can hide all those pesky living room wires and items needed for entertainment centers. They come in all colors and sizes for any type and style of rooms. You can incorporate my favorite the drawers organizers and dividers when organizing your dresser. Drawer dividers can be incorporated into your custom closet design, or you can buy organizers made of plastic, wood or metal. Many models adjust to fit different drawer sizes. 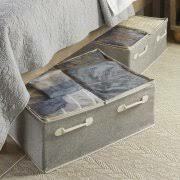 Forget about scrambling through your socks, the dividers and organizers keep you tip toe ready to go. Wardrobes like many may know aren’t just meant to take you to the world of Narnia but another way of organizing your bedroom. Thed advantage of a wardrobe is that you can hang your clothes rather than fold it (avoiding those wrinkles!!) In wardrobes you can also add extra storage with a closet hanging organizer and some even come with shelves. Storing items under your bed in bedroom storage containers are another way to organize your apartment. Most of us don’t realize that you can use the space underneath your bed as a storage compartment. Ikea and other stores sell the under-bed storage boxes, you can store your winter clothes for the season while you keep your summer clothes in your closet easy to reach! Storage benches are a dual usage piece that can help with storage as well! 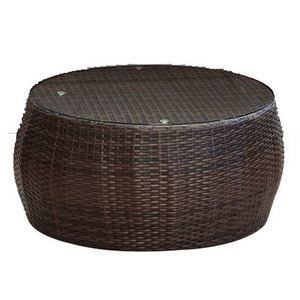 They offer an alternative to storage compartment that hides your stuff and they also offer additional seating! It can also be used in your bedroom at the end of you bed or as a set up by your window. Are books cluttered all over the place and don’t know where to put them? Aside from a nice book bookcase you can install floating wall shelves. This can free up floor space while also allowing so much extra storage! Expect more from your nightstand. Choose a bedside table that can do more than hold a lamp and your phone. Cabinets and shelves keep books, magazines, and e-tablet within arm’s reach from you bed. Side tables also offer additional storage. You can place items on top while also tucking away pieces you do not want on display inside the drawers! Staging has benefited many brokers with quick and successful sales of residential properties. But like residential staging, there is also commercial staging, and it is becoming more and more popular. The key to commercial staging is providing the right furnishings and accents to a vacant space to maximize its leasing potential. You want to motivate clients and give the impression of a “ready to go” business happening in the space. When leasing any space, the goal is for the space to be marketable to the largest number of people to receive as many offers as possible. The effect of staging on a commercial property is that it creates an atmosphere that will give the prospective tenants a visual of their business and a sustainable workplace. It also helps promote the size and flexibility of the space and how the space can be utilized to suit their unique business and employees. The staging process of commercial staging can include set-up of desks, office chairs, lounges/waiting rooms, conference rooms, dining areas, with office accessories added all around. With staging commercial, the main idea is to keep the area light and spacious. The usage of furniture should be in a good ratio and not overcrowd the space and make it feel cluttered. The office accessories don’t have to be much, minimal books, magazines, plants, and some pops of color with artwork. If your space allows, take advantage of as much natural light the property has as possible as this is a big asset in allowing for a healthy working environment and is a huge appeal to the buyer. We have a large inventory that suits any commercial space, from stylish and modern desks and chairs to art that can be incorporated into the design. As a staging company we understand the needs and perspective of what a potential tenant might want in a commercial space and of course a residential property. New York City is known as the city that never sleeps. Millions of tourists come to enjoy the beauty of skyscrapers and other attractions, but they don’t realize how expense it can all be. In addition to its overpopulation, New Yorkers tend to avoid Manhattan for that reason. Rent continues to increase, but wages aren’t. After reading through What’s Your New York City Rental Story?, in The New York Times, all the stories mentioned were of residents who have well-paying jobs, but share their apartments with roommates. It makes you think, not even the middle class can afford to live in this city. Finding an affordable place of residence in New York City is just a heartbreaking, grueling, never-ending story. When people are looking for an apartment, the main questions are: How much flexibility is required to get more space or seemingly basic perks like an elevator or an in-building laundry room? Is it a matter of changing neighborhoods, raising your budget or just looking harder? The average cost of living in New York, according to smartassests.com, is at least 68.8 percent higher than the national average. Living in Manhattan alone is double the national average. Starting with rent...According to the Department of Housing and Urban Development, the median rent for a two-bedroom apartment is $1,638 in the New York metro area. In 2017, the median annual asking rent in Manhattan clocked in at $3,150. In Brooklyn, it was $2,500. Over in Queens, that price wasn’t much lower, the 2017 median annual asking rent was $2,175 per month. If anything, that number underrates just how expensive it is to rent in New York, however, because it includes data for the suburbs, which are generally cheaper. If we look at only the city’s core, housing appears to be even LESS affordable. The average rent for a two-bedroom apartment in Manhattan is $3,895, according to the January 2015 Citi habitat market report. It seems that most New Yorkers work hard to pay their rent, but that’s not all of the living expenses they endure, they still have bills like utilities. The average cost in basic utilities in New York ranges from $120- $200 a month. That includes heating, electricity, water and garbage, and it’s about 14% lower than the U.S. average for a month of basic utilities. The average monthly cost of internet in New York is $53.37, compared to a U.S. average of $52.02 according to numbeo.com. After living expenses comes transportation expenses. But for New Yorkers, it’s either you own a car or you take the ‘best’ transportation system in the country; the MTA. The biggest issue when owning a car in the city is parking. According to Colliers International, the average parking rate in downtown Manhattan is $533 per month. That is another monthly expense added. Another downside to owning a car in NYC is the price of gas, which is often 5-10 percent higher than the national average. We haven’t even gotten to insurance! Some residents have given up their car and rely solely on NYC public transportation. A monthly transit pass in New York costs $116.50 per month, about 75 percent greater than the national average. Food is essential to a human and not to mention, it isn’t cheap either. Well, according to the Council for Community and Economic Research, groceries in New York cost between 28% and 39% more than the national average, depending on where you live. So, if you spend $200 per month on groceries living somewhere else in the country, you’ll spend closer to $260 when living in New York. Eating out in the Big Apple is even less affordable. A meal at an inexpensive restaurant in New York costs $15, and a meal for two at a moderately expensive restaurant costs $75. You’re better off eating at your local food truck or fast food spot. We can conclude that this city is better suited for the rich, but its appeal and energy drives people of all wages and backgrounds to try and make a life here. Velvet was seen as a one of the hottest trends for the New York Fashion Week 2017, and that translated into trends in home interior designs. As a late 60’s early 70’s style, the luminous and luxurious fabric has come back in 2018 in a TON of different shades, shapes, and, colors. “The thing that I love about velvet is that I can put a little tiny piece on a pillow or I can cover entire walls with it, and it will always look rich and cozy,” said interior designer Miles Redd. But the real question is how do we style with velvet in our homes? If you’re not a fan of incorporating a lot of velvet, but still want to use the material, you can always style with a few colorful velvet pillows. Pillows are key to filling in living room or and bedroom. The fabric is a universal material that works with majority of others. The fabric blend of a linen sofa accented with the texture of a velvet pillow is a great balance. “I think there needs to be a mixture of fabrics and textures in a room,” Redd says. You can take it a step further by using velvet furniture. It might seem like a big commitment when using a velvet on your furniture, but the textile works well no matter what silhouette you’re dealing with. Ever seen velvet dining chair? Well, we have Grey Mid-Century Accent Chair that we designed in our Soho project. Velvet is very versatile in a dining room, because it can be treated to resist staining and looks good whether you want a more formal traditional wood-leg chair or something funkier with brass or metal legs. Velvet headboards are another furniture piece that make a statement in the bedroom. According to StoneGable upholstered headboards were among the hottest décor trends in 2017, and this trend still follows through 2018. “America’s first decorator”, De Wolfe, a born New Yorker was known for her fresh victorian decorative style. During her youth, she was educated in Scotland and was presented at court to Queen Victoria. Soon after she moved to the U.S. to become a professional actress. Throughout her early life her onstage style and wardrobe couture that she brought to the U.S from Paris caught people’s eyes more than her acting roles. Her first interior design project was restyling on a house in Irving Place where she resided. She designed the house with bases of victorian decor, decluttering, simplifying, and, using warm coloring. 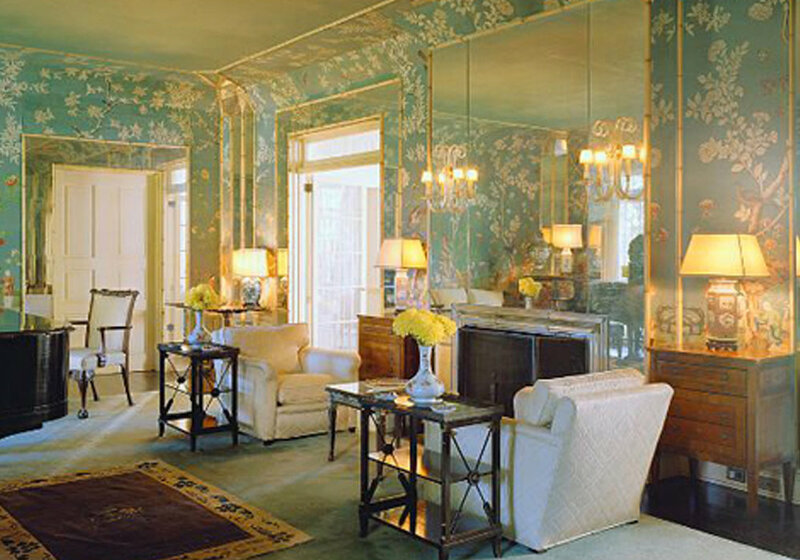 That led to a commission to decorate the Colony Club, the city’s first elite social club. De Wolfe popularized herself becoming known as the best decorator of her time, promoting herself with business cards emblazoned with her signature wolf and nosegay motif. Paris is known for being the city of lights and glamour, there is no doubt in finding inspiration especially in the 1930’s. 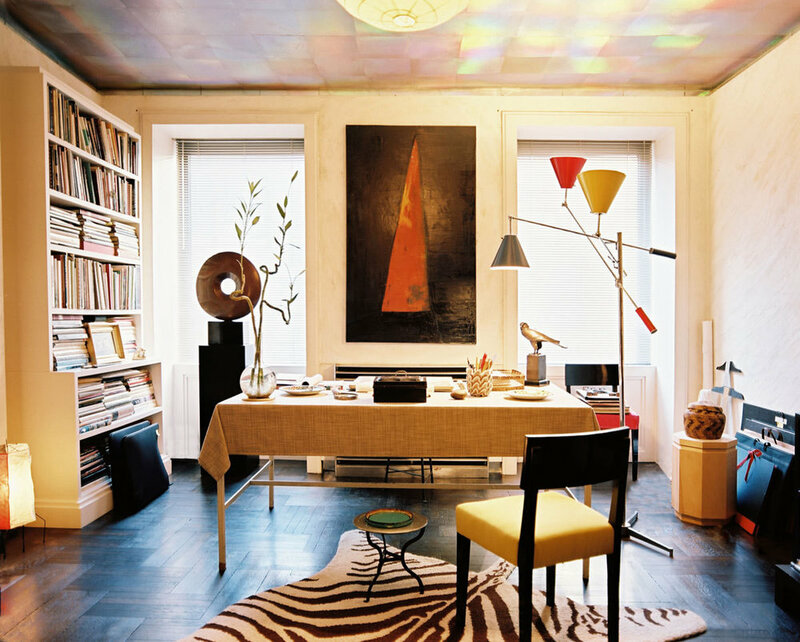 Jean Michel Frank has been highly praised as the decorator and designer of the era. Frank worked with high end names such as, Man Ray, the Rockefellers and many Parisian artists. His style was known to be exquisite with design art of Picassos and Braques and a undefined minimalist style. He expressed his style through the retrained shapes of furniture he designed which he dressed in lavish materials: ornate mica screens, bronze doors, lamps made of quartz, as well as the shagreen-covered vanity and cubic sheepskin club chair he created for Hermès. He was actually one of the influences and inspiration for Hermès. He loved the color white which he made into his designs based on spare and rich perspective. His magnificat work is still celebrated in many museums today. The speciality within interior design is you can create your own design or base it on a style. The girls at Staged picked our three favorite interior styles…. We will start off with the Scandinavian style. Designed with minimalist decor and functional furnishings with a lot of whites, hints of black, wood tones and then a few pops of color to keep things looking “happy" and a adding a touch of eccentricity. The natural materials, pale colors, and minimalist shape the open interiors to uplift the natural lighting of the sun. Fun Fact: According to the Washington post, the modern style originated in the Nordic region ( Sweden, Denmark, Finland, Iceland and Norway) in the 1950’s. Many of us like to live in the present and look towards the future, so why not give that feel in your home with a contemporary design. The style reflects “living in the moment”. Contemporary style is set up on ranges of styles developed in the latter half of the 20th century. It incorporates furniture pieces that are simple, uncluttered, without curves or decoration. Decoration are solid colors and dark printed art is used. Plants and flowers are a good add-on to add color to the design. Blast from the past; Seventies style. The Staged team enjoys the groovy, earthy, and peaceful vibe that the seventies expressed. Whether they were a flower girl or a hippie spreading peace and love through music and art, these colors bursted through the interior of homes . As Tom Wolfe categorized as “the me decade” describing the time period when humanity was losing hope during the Vietnam war and only turned on the survival and protection of their families. The seventies interior design use a mix with nature-inspired furniture with bright technicolor splashes as patterns and fur shag, felt, and faux textures on rugs, throw-on blanket, and pillows make up the seventies style. It’s a more fun and playful style, embracing the funky and the groovy. New York is known to be the most expensive city in the world. Over the past few years, residential prices have increased 33 percent on average from December 2009 through June 2017, according to a Streeteasy report. As rents increase twice as fast, wages remain stagnant. Many New Yorkers either don’t make enough annual income to obtain an apartment, or don’t have the sufficient credit. Many are forced to double their checks to make up for the monthly rent, making it difficult to save for other necessities, such as healthcare, education, or even a down payment toward a home. Due to this, many real estates agents aren’t making sales or residential profits, resulting in a downfall in the stock market as well. “New York City residents who are earning the least amount of money are experiencing the greatest competition for housing and the steepest rent increases,” said StreetEasy Senior Economist Grant Long. But how are rent prices determined? The New York Rent guidelines state that the market rate, apartment rental rates, and lease terms are negotiated between the owner and tenant. The NYCGB determines rent increases for lease renewals of rent-stabilized apartments, lofts, hotels, and single-room occupancies. Another factor that affects increases is the location of the property, whether it is close to a train station, shopping areas, or even its proximity to Manhattan. The increase on market rate units are entirely left to the discretion of landlords, as they weigh potential profits against the possibility of losing reliable tenants and the cost of vacancy. As for determining what the market rate is, small landlords say they do various things, from looking through nearby listings, to asking neighbors and visiting open houses. Many New York apartments are placed under controlled and stabilized rent. Controlled apartments are generally a prized possession in the city. Rent-controlled apartments have only applied to people who live in a building built before 1947, and have been living there since 1971. These apartments are mostly occupied by the elderly or their lawful successors. There is a very small percentage of these apartments on the market. So, for those of us who are hoping to land a rent-controlled apartment, chances are we’re out of luck. 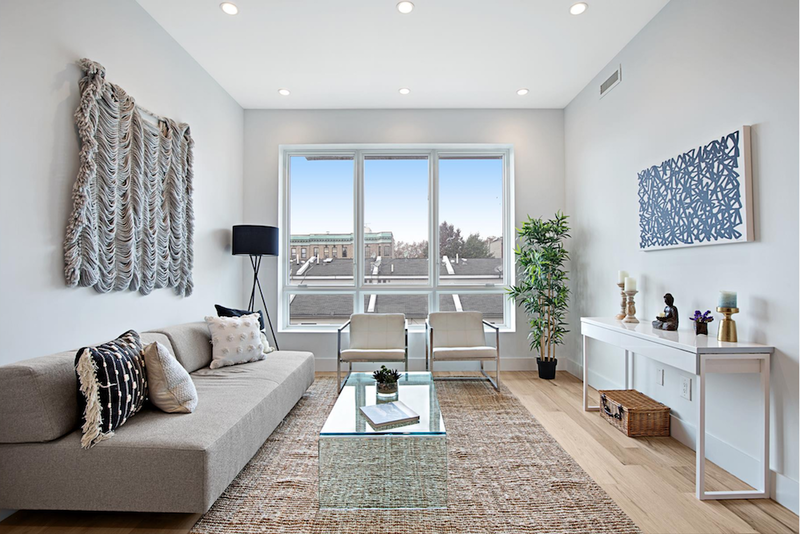 The advantage of having a rent-stabilized apartment is the limitation a landlord has on the rent increase each year, and the guaranteed right to renew the lease. Although the program helps to maintain a stable rent for those units, it still doesn’t help the increase in rents across the city. Even with that set plan, it still isn’t enough. Many of you may not be certified interior designers, but would like to give a room in your home a bit more life. Well, I am here to give you a few simple decorations that can liven up that plain room. · A library of your favorite books, or a couple of magazines on a coffee table or night stand are a key to décor while keeping your periodicals organized. · Installing floating shelves is another way to organize your books and add some flare to a room. 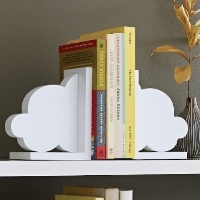 · Bookends can be placed alongside shelves to hold books. According to a New York Times article, Brooklyn-based interior designer Billy Cotton says, “You have to look at bookend as you would a small object or sculpture.” Don’t have a Michelangelo sculpture handy? No problem! Bookends will do the job! Isn’t that interesting? Remember that old art you have stored away? Did you find a piece of art at a thrift shop or garage sale, but don’t know where to put it? It’s time to make use of them! But how….? · In the living room, art is typically placed above a sofa, filling in a main wall space. 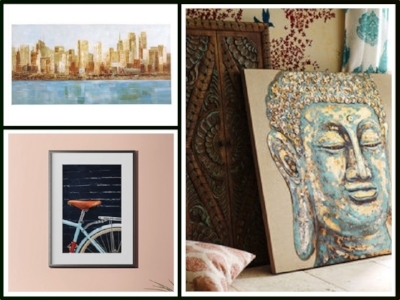 Whether it’s a vintage piece, or an eccentric painting, art gives a personal touch to your room. · Framing old family pictures is another creative opportunity to add some dimension and style to your place. Not only is it a great way to show those baby pictures, or those memories from your favorite vacation, it also can pull a whole room together! · They say mirrors are a reflection of the soul. Well, they are also a decorative piece, like our Tork wall mirror. · Here’s a little known life hack: Placing a mirror opposite of a window will allow the light to bounce around the room, making the space feel brighter. The bigger the mirror, the better. Having plants indoors can be a hassle to maintain, but there is another way to add a touch of green into a room without the work: artificial plants. Any sort of greenery makes even the smallest space feel fresher and lighter. 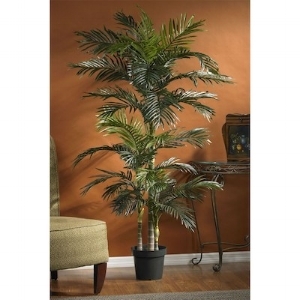 · A nice 6-foot ficus artificial tree in the corner of a room is a simple way to fill in the edges. · A little aloe plant, or even a vase with artificial flowers as a centerpiece for a table, is another simple way to decorate. Why should you stage ? What are the benefits? Real estate professionals make their living off selling homes quick. Staging is one of many ways real estate agents use to make that first great impression with clients. Others, however, feel that staging is just another worthless additional cost. Studies show that staging has its share of benefits, including a quicker and simpler sales rate. Buyers are typically on the lookout for a move-in ready home that won’t require many renovations. According to a Maritz Research staging poll, 63 percent of buyers are willing to pay more for move-in ready homes. Home staging also gives sellers the opportunity to learn to prepare their homes for a sale so that buyers can move-in immediately. Many real estate agents don’t have experience with interior design or staging. That’s where Staged comes in and helps. When staging a home, you’re essentially creating an interior design so the buyer can imagine what their potential home has to offer. It allows buyers to rearrange the home any way they see fit, leaving a positive and lasting first impression. Staging also enhances the structure and architecture of a home, bringing out certain details an empty home might miss. Whether the buyer gets a sense for the space of the home, or a reaction from the décor, the ultimate goal is for the buyer to feel an emotional connection to the home, one that they’ll remember when it comes time to make an offer. Once the home is staged, the space is now set to market as a desirable and attractive home for buyers. You are now ready to photograph and create a lifestyle home for a buyer, and surpass the competition who might be selling a home at a similar price. According to a U.S New Real Estate article, more than 90 percent of homebuyers start their search online, and photos not only attract home buyers, but also gives them an insight into what their home could potentially look like. A study by Coldwell Banker Real Estate Corp. found that staged homes sell for more than 6% above the asking price and spend half the time on the market than non-staged homes. The experience of selling a home can be hard and frustrating when it’s on the market for months. Many factors come into play toward a final sale. Whether you’re new to the selling market or the home is already listed, it’s never too late to stage the home for a proper sale; and Staged is the way to go for a quick and successful final sale. Staged is here to bring you the new and latest designs to stage any listing all year long. 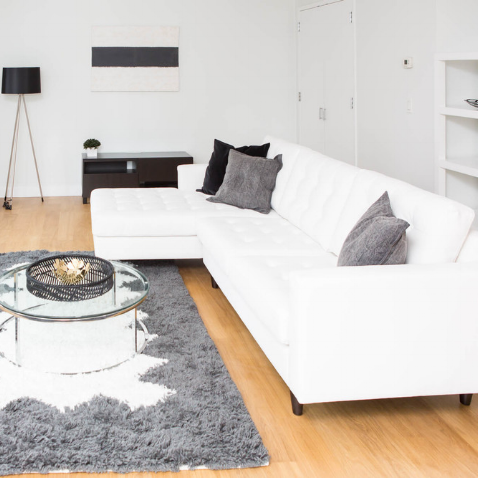 Whether you prefer a clean sleek modern design or, a colorful eclectic look, Staged’s “hands-on” approach will enhance your personal style and accent your home’s best features. It may not feel like it just yet, but spring is near and that calls for some spring cleaning and brighter colors for your home design. Today we will be speaking about the latest trends that are taking over homes for Spring 2018. 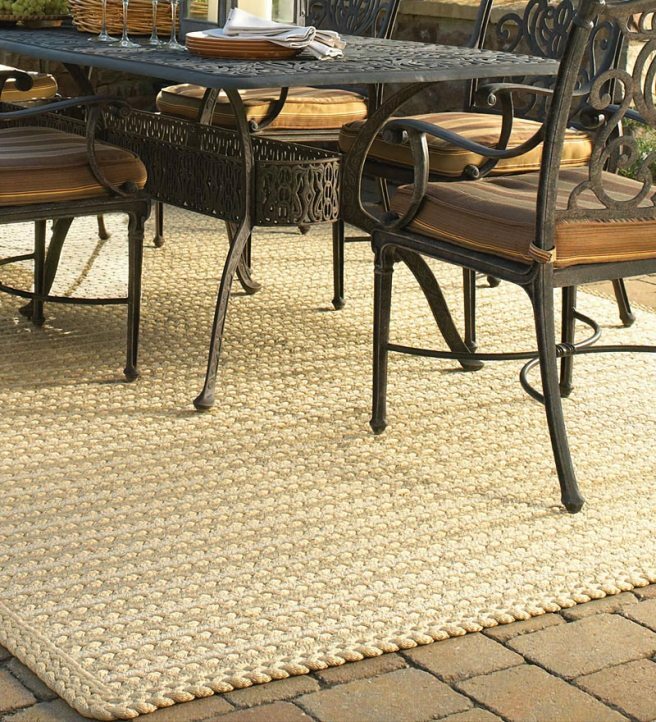 We will start with the accessories and embellishments that round out a rooms design. From woven rugs and abstract art, to printed colorful cushions, this season is about earthy neutrals with pops of spring time colors. Changing the embellishments in your home is an easy way to update the overall aesthetic of the space as the seasons change! An easy spring-y addition to your decor you can add is an yellow throw blanket, or a green woven throw. Put these on a couch, chair, or bed to make the room feel more cozy while still bringing in some fun color! Bright fun blues, deep forest greens, and pale pink blushes are the interior look of this season. There are many ways to add these colors into your space …from a velvet green sofa, to a bright teal bed, to a pop of pink on a blue velvet armchair. Give your space a chic spring look and incorporate these colors into your design! This cowhide dining chair is the perfect way to make the farmhouse style more modern and chic for the spring. The decorative warm wood leg detail with gold feet plus the cowhide seat bring out the country chic look in the best way. The 70’s trend of shapely and curvy furniture is back in 2018. It gives off a more unique and modern look to the living room decor. Put a rounded sofa, like our moonshine sofa, in your space this spring to give a sophisticated spin on your living room design. It’s that time of year to de-clutter and to give your space a fresh look. Whether you dread it or secretly love to organize, now is the time of year to get rid of the things that aren’t working and create a more functional and inviting home. Below are just a few ideas to inspire and help get you started. Entryways. This is the first thing you see when you walk into a home; it’s also the first place you drop all your stuff! For this reason a well-organized and functional entryway can make life easier, and contribute to a cleaner and more organized home. There are a lot of beautiful built in options and furniture that can be purchased but the transformation doesn’t need to be expensive. Consider adding a shelf for seasonal décor or framed art to keep it personal and inviting. Toys. For those with children toys can become a huge issue when trying to keep a clean space. Only keeping a small portion out at a time, and cycling through them, not only minimizes the likelihood of them taking over the house, but old toys become new again when they’re reintroduced. Additionally, lightweight storage containers placed on a low shelf make it easy for children to put everything away when they’re not in use. Bookshelves. Be selective with your reading collection. You don’t need to keep every book you’ve read, only the most important ones should live on your bookshelf. Remember you can always store your favorites on an e-reader. A good goal is to keep your shelf only about 80% full. Incase you weren't aware, staging potential homes is the BEST way to sell your listing with minimal time spent on the market. Staged has listed a few quick tips below as to why staging is now on the rise! Staging homes makes it easier for buyers to visualize the property as a future home. Statistically, 81% of buyers are more willing to walk through a home they viewed online, 46% will positively impact the value of the home if it is decorated to the buyer tastes, and 45% of buyers are more willing to overlook other property faults, if staged to their liking. The most important rooms to be staged for in order include: living rooms, kitchens, master bedrooms, dining rooms, and children’s bedrooms. 32% of real-estate agents believe staged homes increases the dollar value buyers are willing to offer by one percent to 5%. 16% of real-estate agents believe it increases the dollar value buyers are willing to offer by 6% to 10%.